The Greenbank Farm has miles of farmland walking trails friendly to horses and dogs. Please adhere to the following rules to keep the trails open to all our guests. 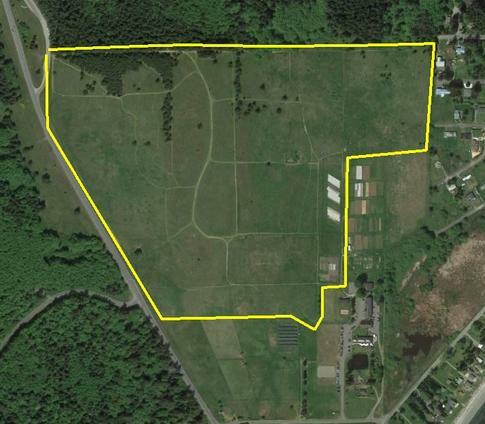 The trail system traverses farmland owned by the Port of Coupeville and forestland owned by Island County (dogs must be on leash in the forested areas). The trails are open to the public all year round. – Motorized vehicles are prohibited. – Be respectful of all walkers. – Owners are liable for injury to other persons or dogs caused by their dogs. – Children and infants must be under supervision while in the off-leash area. – Please pick up after yourself and your animals. Help protect our crops and clean water supply. Bags and garbage cans are provided. – With proper supervision, dogs may be off leash once they are behind the red flags on the hills. Dogs should be leashed outside the gate and in the parking lot areas. – Well behaved animals are welcome. Ill behaved animals (and humans) should be left at home. – Dogs must be removed from the Farm at first sign of aggression. – When off-leash, dogs must be under control and in sight at all times. – When off-leash, leash must be in hand at all times.